Rink Rover: Friday Photo Contest! In the comment section, add a caption that you think suits the picture below. Next week I'll post the best caption with a new picture. I'm looking forward to reading your suggestions! Suggested caption: "Wait, Phil Kessel was once a Bruin?" 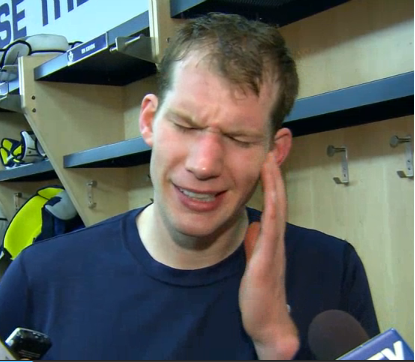 Reimer quits pro hockey for a career as a lounge crooner.